All CARDINAL TRACT homes currently listed for sale in Phoenix as of 04/19/2019 are shown below. You can change the search criteria at any time by pressing the 'Change Search' button below. "Excellent opportunity for investor looking to build multifamily product. 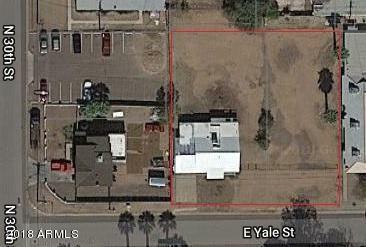 Sale includes contiguous parcel to the east owned by seller. All preliminary work includes Alta, Topo, Geo-tech and contextual plans for 7 units. See document tabs for plans. Pre-application meeting with the city is schedule. These parcels are zoned R-3 with lot sizes of 25x36's."